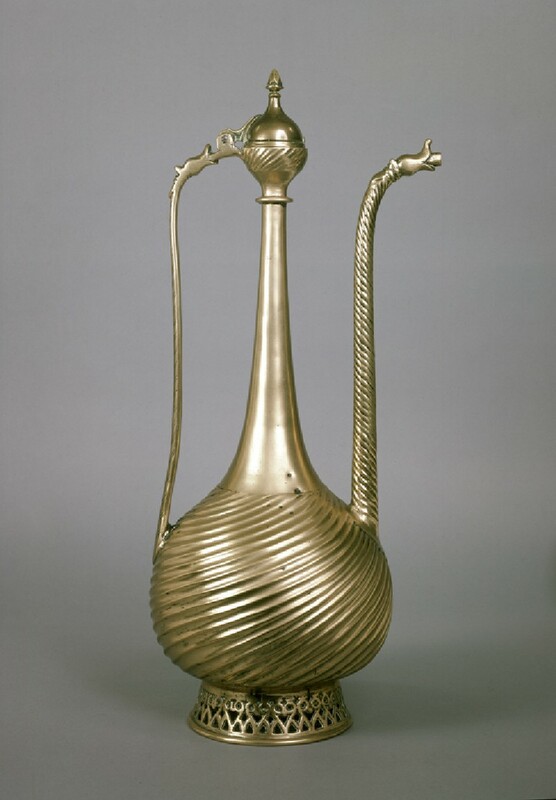 This elegant ewer is a refined product of the Indo-Islamic style, with the spiral fluting of its body and its tall, tapering neck. 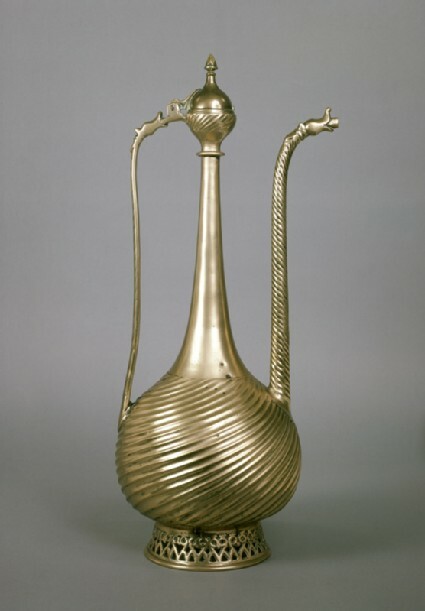 The handle terminates above in a stylized animal head, also mirrored in the end of the spout. Also known as the Butler ewer, it was previously in the collection of Dr A.J. Butler, Bursar of Brasenose College, before being given to the Museum by his daughter. Presented by Miss Eleanor Butler, in memory of her father Dr A. J. Butler, 1976.